He’s changed teams five times in five seasons, but there have been some constants in Anthony Orange’s still-young CFL career. The first is Trevor Harris. 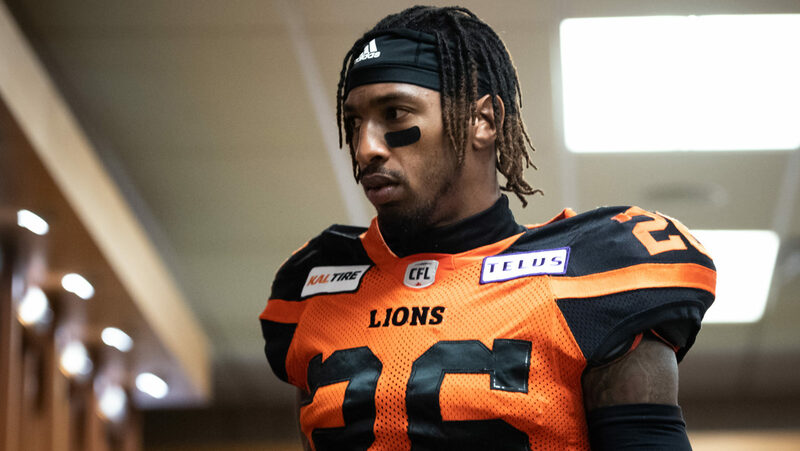 They were teammates together in Orange’s rookie season in the CFL, back in 2015 with the Toronto Argonauts and Orange followed him to Ottawa as a free agent in 2017. They’re back on the same team for the third time now, both having signed with Edmonton on the first day of a free agency period that proved to be unlike anything the league has seen. The second is Brock Sunderland. The Esks’ GM for almost two years now, he played a big part in Orange’s signing with the REDBLACKS in 2016 when he was the team’s assistant GM. “The decision came down to first of all me being able to feed my family, where the needle fell with the money and stuff. After I dealt with that it was all about the team that we were building here,” Orange said of his decision to leave the BC Lions and sign with Edmonton on Feb. 12. On Thursday, he was in his new green and gold uniform for the first time, filming some game day material for the Esks. “I’d spoken to Trevor before he signed and he expressed that he wanted good guys around him. Brock had reached out to me about bringing me back and I was confident that he was going to be able to bring in a lot of the guys that he did because Trevor wanted to be surrounded by a bunch of good players. “Everybody wants to have a good quarterback, so if I couldn’t stick around there in BC with Mike (Reilly) because of the money, Trevor expressed he was going to do what he could to try to make sure everybody was taken care of and it ended up working out. Orange, who just turned 31 last week, stands in front of what he thinks could be a very bright future in Edmonton. He’s also hoping it’s the culmination of a journey that, while mostly successful — he had six interceptions through his first two seasons in Toronto and had a career best five last year in BC playing cornerback — has been peppered with trying moments, particularly in 2017. He joined the defending Grey Cup champion REDBLACKS that year thinking he’d made the best move for himself and his career. It didn’t work out that way. He was released three games into the season. “That year was a learning experience for me,” he said. The Saskatchewan Roughriders quickly signed him, but he was released two months later, on Sept. 11, 2017. Sunderland was juggling a record-setting amount of injuries with his new team that year and the salary cap complications that come with that. While he was happy to have Orange on the roster, he couldn’t manage to get him onto the field. For many players that come to the CFL, that bounce around often marks the beginning of the end of a career. Orange never doubted himself. “For me, even if I’m not on the field I’m still out there at practice and the coaches are still seeing it. What they said to me, they still think I can play, they still think I’m a starter. “I’ve always wanted the team to commit to me as much as I’m going to commit to them. So if you’re not sure, let me go somewhere else, try to figure that out on my own. Thursday was a quick meet and greet with some old faces that he knew from his first stop in Edmonton and getting to know some of the new faces that had joined the team over the last two seasons. He’s never played for Phillip Lolley, the Esks new defensive coordinator, but he’s liked what they’ve talked about so far in the off-season. “Just talking to Lolley, he’s real excited, man. He sounds like a pressure guy. He wants to play fast and send six more than not,” Orange said. 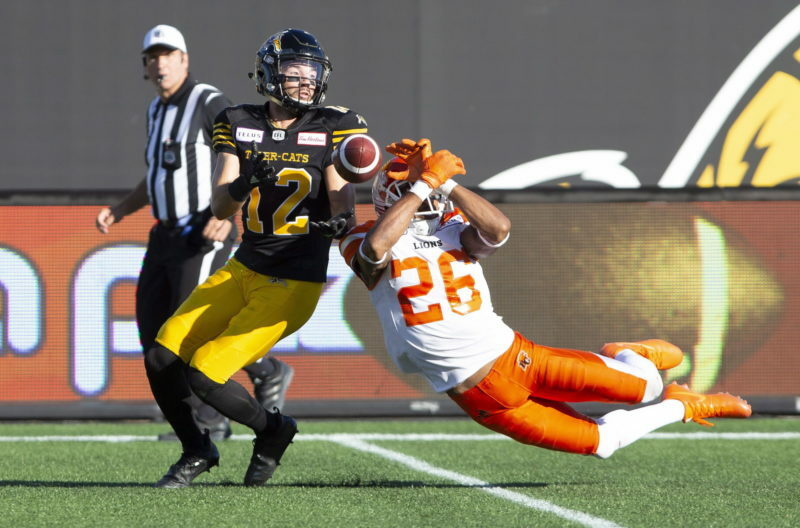 Orange never got the chance to suit up for Chris Jones in Saskatchewan, but there could be at least some philosophical similarities to a Jones defence in what Lolley puts together this year. Lolley was the first coach that Jones worked for, back at North Jackson High School, in Stevenson, Alabama. Five years into his CFL career, Orange thinks he’s found the place that can give him everything he wants. He has a quarterback that he knows can be great. He’s in a defence that he fits in, with a GM who brought him in to do what he does best. “I’ve got all of the confidence in myself and I know (Sunderland) has the confidence in me, otherwise he wouldn’t bring me and committed to putting me where he thinks I can play at,” he said.